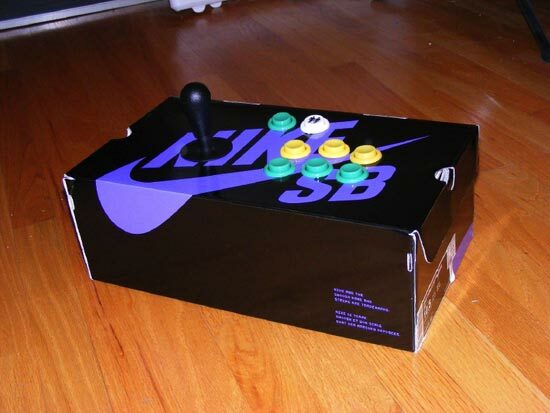 Last week we saw an arcade stick made using some Tupperware, this week we have some arcade sticks made from shoe boxes. 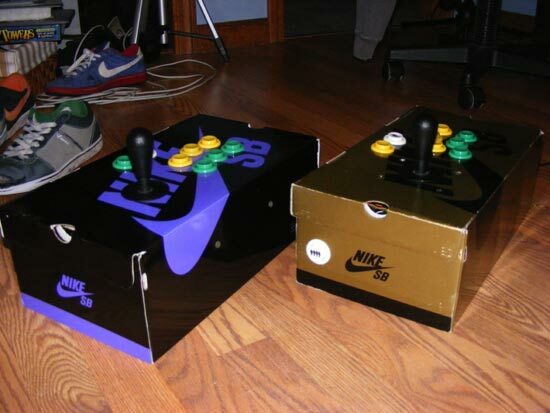 These fun arcade sticks were made using a couple of Nike shoe boxes, some Xbox 360 controllers, and a couple of Happ joysticks and some buttons. These fun shoebox arcade sticks were made by Kotaku reader Rotundo, a great idea, I wonder what we will see as the housing for the next budget arcade stick.